Welcome to the full range of Rycote microphone windshields at DigiBroadcast. 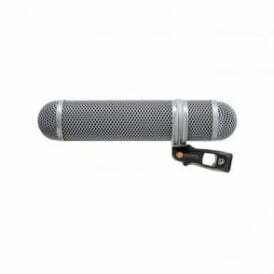 Here you will find a massive selection of high quality microphone accessories from a well known and reliable audio industry brand. With over forty years experience in the audio equipment industry, the Rycote name is almost synonymous with microphone windshields. The brand specialise in wind and shock protection for microphones, with their products designed to perform in even the harshest of conditions. But while their products are impressive, it is their determination to constantly evolve and create newer, better products which keeps Rycote ahead of the game. Rycote windshields with worldwide delivery! Here at DigiBroadcast we stock a whole variety of Rycote products including their stereo windshields, modular windshields, cyclone windshields and so many more. Plus, regardless of where you live you can enjoy our Rycote windshields or any other products thanks to our worldwide delivery. Why not also check out our complete collections of sound and audio equipment, featuring microphone kits, speakers and wireless systems.